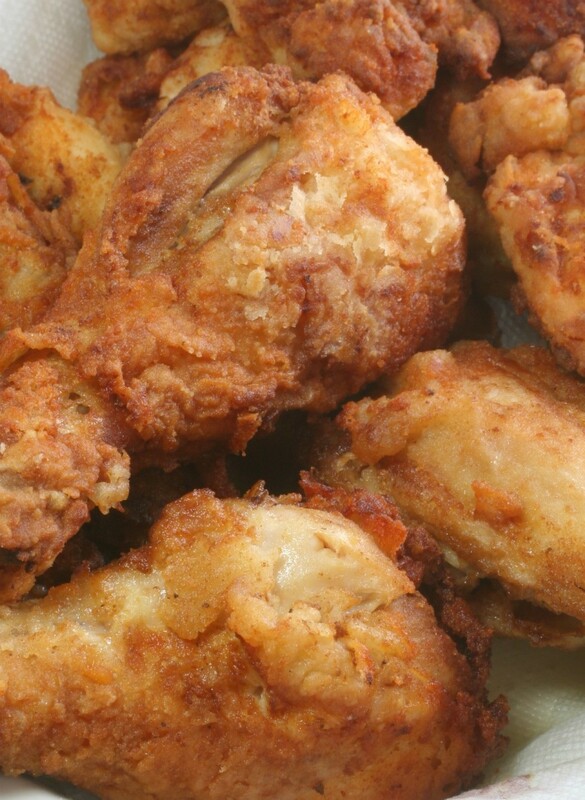 Many of us know that you can actually fry canned chicken, but what about canning fried chicken. This is a guide about canning fried chicken. I am really curious about a canning issue I have. My 96 year old Auntie told me today that she used to fry chicken then can it. Have you ever heard of this, or done it, and if so how? Also, what kind of adjustments do you need to make when using 1/2 gallon jars to can in? Thanks. Sam,I've canned chicken before to fry later but not fried chicken as you said. If you Google; "canning chicken meat" you can read more. I've canned freshly made pork sausage in a pressure canner, and I always started out with raw meat with all the seasonings in it. I was told that I could add "color" to the meat if I wanted to by scramble-frying it long enough to give it a nice brown color. Supposedly, this only makes it look better on the shelves of home-canned foods. Since we used the canned sausage for making sausage milk gravy to go over hot biscuits, I was going to be frying it anyway when making the gravy, adding flour and the milk, it wasn't necessary for the meat to have any color of having been cooked at all prior to the canning process. I know you can successfully can raw chicken meat very much the same way. Either ground up or in chunks. Just pack the jars with the raw chunks, after adding a bit of salt to the jar, and add no water or anything else. If you want color on the chicken, then you can certainly fry it in a little butter or oil first just long enough to get the color desired then proceed as above with the canning process. If you intend to bread the chicken first, then fry it long enough to get a nice color, I think you might find that you just end up with cooked chicken in a gravy after canning. I don't think it'll come out looking or tasting like freshly fried chicken. I am certainly open to learning more, so if anyone else has ideas or knowledge on the subject, I'm eager to know about it. Good Luck with your canning venture. I personally would not can anything in a half gallon jar. It would be difficult to be sure the internal temp reached a high enough heat to fully cook the food. Quart jars should be large enough for anything. Yes you can can fried chicken just as you can any other meat. I would not use 1/2 gallon jars either. Way too big. They would have to be processed for such a long time to ensure that the internal temperature is high enough that you would probably end up with tough, rubbery chicken. I'm curious as if you are thinking you will end up with nice, crispy fried chicken out of a can? I know that is what some people think of when they hear fried chicken canned. I honestly do not know if that is possible or not. I have not tried it nor heard of anyone who has. Considering meat can be canned without liquid, why not give it a shot? I would fry it til the coating was done but not quite finished cooking the meat. Follow typical pressure canning instructions for the amount and your altitude. When you're ready to have some, pop them in a preheated toaster oven or oven for about 10 mins to finish cooking the meat and crisp up the coating. Good luck and let us know how it turns out! Oh, if you are going to do it with coating, I would not use egg or milk. I'd rinse off the meat under water and then drop in the coating to get it to stick.